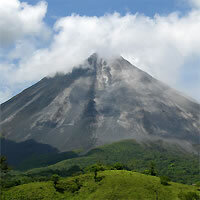 NE of Monteverde, Arenal Volcano area is Costa Rica's top attraction. A unique river of turquoise waters by the Tenorio Volcano National Park. 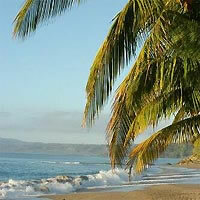 100 miles of beaches along Costa Rica's northwestern Pacific coastline. Long stretches of stunning and nearly deserted beaches on the Pacific Coast. 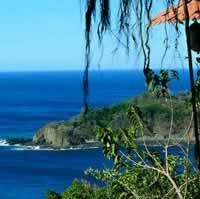 One of Costa Rica's most secluded, and romantic beach resorts. A peaceful beach getaway, home of the Curu Wildlife Refuge and the Cabo Blanco Absolute Reserve. Monteverde Cloud Forest: The Monteverde Cloud Forest is one of the most extraordinary and important nature reserves in the world. With thousands of species of animals, birds, and plants, including over 300 types of orchids alone, this fantasy land for nature lovers covers 26,000 acres, and from its heights, it is possible to see both the Pacific Ocean and the Caribbean Sea. Activities in Monteverde are generally focused on the vast biological reserve which offers hiking, zip line canopy tours, a hanging bridges tour, and a wide variety of unique wildlife experiences; including a visit to the enchanting Butterfly Garden. There are also day trips available to the local coffee region, and other nature oriented experiences that have helped put Costa Rica at the forefront of the Eco Tourism phenomenon. Extraordinary Green Costa Rica! Visit Monteverde Cloud Forest for unique fauna and adrenaline filled activities. Next, adventure to a National Park with Jungle Lined Beaches and lots of wildlife in Manuel Antonio. A wildlife lovers' paradise! Land in San Jose, continue to the most popular destination in Costa Rica, The Arenal Volcano area with its impressive views and activities and end this journey in the fascinating Monteverde Cloud Forest where more adventures await you. This is a flexible vacation package to Costa Rica with daily departures from anywhere in the USA or Canada. Choose your length of stay and add/pick your tours. Book your space now! 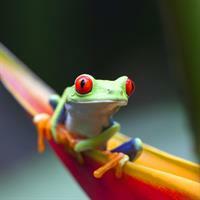 Costa Rica's top combo for Nature Lovers! The increasingly favorite itinerary through Costa Rica's highlights: Arenal Volcano and its hot springs; unique fauna and adrenaline filled activities in the Monteverde Cloud Forest and a National Park with Jungle Lined Beaches and lots of wildlife in Manuel Antonio. 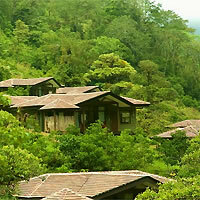 Explore the green Costa Rica combining nature and beach fun! Fly to San Jose for a short stay at Costa Rica's capital and main gateway. 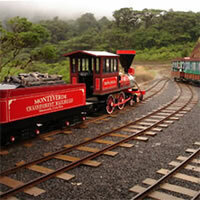 Drive up to Monteverde Cloud Forest for unique fauna and adrenaline filled activities. Next, adventure to a National Park with Jungle Lined Beaches and lots of wildlife in Manuel Antonio; and finish with a stop in San Jose City before heading back home. Costa Rica on your own! Visit places that escape other travelers' eyes! Fly to San Jose for a short stay at Costa Rica's capital and main gateway, continue to Sarapiqui, a popular destination for nature enthusiasts and adventurers, who are drawn to the exhilaration of white water rafting on the Sarapiqui River. Continue to Arenal Volcano for the perfect introduction to countless outdoor activities and possibly a dip in its hot springs. 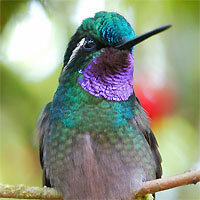 Next, enjoy unique fauna and adrenaline filled activities in the Monteverde Cloud Forest. 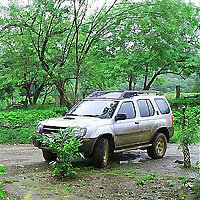 Self Drive - Costa Rica Nature Escape. A fun route to experience Costa Rica on your own: Fly to San Jose and drive up to Arenal to enjoy its Volcano and hot springs; continue to Monteverde Cloud Forest for unique fauna and adrenaline filled activities and finish with a stop in San Jose City before heading back home. Ultimate Costa Rica. Fly to San Jose for a short stay at Costa Rica's capital and main gateway. Then, visit Tortuguero National Park, one of the world's most important nesting sanctuaries for Sea Turtles and the main nature tourist destination in Costa Rica. Continue to Arenal Volcano for the perfect introduction to countless outdoor activities and possibly a dip in its hot springs. 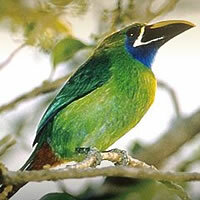 Then, visit the fascinating Monteverde Cloud Forest with its unique fauna and adrenaline filled activities. 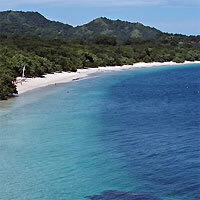 Next, go to the Guanacaste Beaches for fun in the sun and relaxation surrounded by vegetation. Finish with a stop in San Jose City before heading back home. Bus ride to Guapiles area, and then transfer by boat to your lodge in Tortuguero. Drive around three great Costa Rica highlights! : A fun route to experience Costa Rica on your own: Fly to San Jose and drive up to Arenal to enjoy its Volcano and hot springs; continue to Monteverde Cloud Forest for unique fauna and adrenaline filled activities. Next, adventure to a National Park with Jungle Lined Beaches and lots of wildlife in Manuel Antonio; and finish with a stop in San Jose City before heading back home. 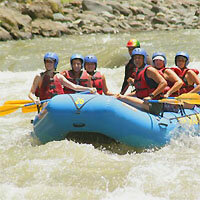 Experience the adrenaline and excitement that Costa Rica has to offer! Fly to San Jose for a short stay at Costa Rica's capital and main gateway. Next, stay at an Eco hotel enclosed by tropical rainforests and lush green canyons that serves as a rafting outpost along the Pacuare River. The world famous Pacuare Lodge on Costa Rica's Caribbean basin where heavy rainfall and dense vegetation retain its primitive nature. After your stay at Pacuare, stop in San Jose City before heading to Arenal Volcano for the perfect introduction to countless outdoor activities and possibly a dip in its hot springs. 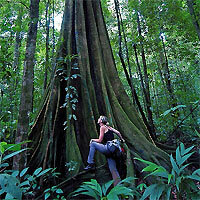 Then, enjoy unique fauna and adrenaline filled activities in the Monteverde Cloud Forest. Get to experience it all in this exciting package! Fly to San Jose City for a short stay at Costa Rica's capital and main gateway. Then, visit Tortuguero National Park, one of the world's most important nesting sanctuaries for Sea Turtles and the main nature tourist destination in Costa Rica. Continue to Arenal Volcano for the perfect introduction to countless outdoor activities and possibly a dip in its hot springs. 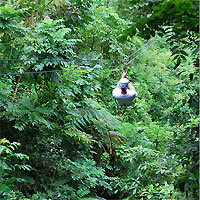 Then, visit the fascinating Monteverde Cloud Forest with its unique fauna and adrenaline filled activities. 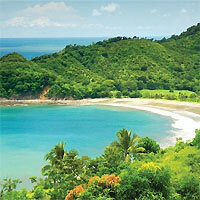 Then, visit a National Park with Jungle Lined Beaches and lots of wildlife in Manuel Antonio. All Of Costa Rica Fly to San Jose for a short stay at Costa Rica's capital and main gateway. Visit Puerto Viejo/Limon a vibrant seaside town with gorgeous beaches, crystal clear blue waters, and some of the most amazing surfing opportunities. Continue to Tortuguero National Park, one of the most pristine Rain Forest areas of Costa Rica, with famous highlights of this beautiful country. Then flight to Arenal Volcano and its hot springs. Continue with a stay in the fascinating Monteverde Cloud Forest with its unique fauna and adrenaline filled activities and end this journey at a National Park with Jungle Lined Beaches and lots of wildlife in Manuel Antonio. Volcano, Jungle and Beach Adventure! Fly to San Jose. Next, experience Arenal's active Volcano and its hot springs, then, unique fauna and adrenaline filled activities in the Monteverde Cloud Forest continue to your secluded hotel in Jaco Beach, a bustling beach town known for its party-like atmosphere and laid-back attitude. Jungle Journey. Fly to San Jose for a short stay at Costa Rica's capital and main gateway. Then, visit Tortuguero National Park one of the world's most important nesting sanctuaries for Sea Turtles and the main nature tourist destination in Costa Rica. Continue with Arenal Volcano and its hot springs. Continue this journey in the fascinating Monteverde Cloud Forest with its unique fauna and adrenaline filled activities. Adventure-seekers Paradise. Flight to San Jose City where you will spend one night in Costa Rica's capital and main gateway. Then, travel off the beaten path into the wild rainforest of Osa Peninsula, where the fantastic Corcovado National Park is located. Continue to Arenal to enjoy its active Volcano and outdoors activities and end this trip in Monteverde Cloud Forest where more adventure and lots of wildlife awaits you. Bird Lovers Paradise! Fly to San Jose and drive up to your forest lodge in Central Valley South, 'Home of Quetzal'. 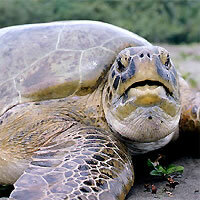 Then go to a National Park with Jungle Lined Beaches and lots of wildlife in Manuel Antonio. 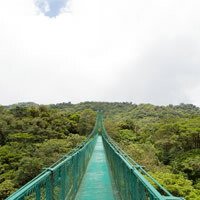 Continue to Monteverde Cloud Forest, where you'll find unique fauna and adrenaline filled activities. Finish with a stop in San Jose City before heading back home. Experience Nature at its Best! Fly to Liberia airport and get off the tourist trail to see something most don't! visit Rio Perdido Hotel and discover the perfect mix for adventure and relaxing in the same place, explore the river canyon in the zip line tour, go hiking or take the river tubing tour; relax in natural thermal pools and rejuvenating volcanic mud. Next, experience unique fauna and adrenaline filled activities in the fascinating Monteverde Cloud Forest where more adventures await you. See Costa Rica's most popular destinations! Stay at your forest lodge in the charming highlands of Costa Rica's central volcanic range; Central Valley North, to have an intimate encounter with nature, continue to Arenal Volcano for the perfect introduction to countless outdoor activities and possibly a dip in its hot springs. Next; unique fauna and adrenaline filled activities in the Monteverde Cloud Forest and last but not least, relaxation surrounded by vegetation at the Guanacaste Beaches. Pure Adventure! Fly to San Jose and drive up to Arenal to enjoy its Volcano and hot springs; continue to Monteverde Cloud Forest for unique fauna and adrenaline filled activities. Next, continue to Dominical_Uvita, a surfer's paradise, with cascading cliffs converge with the deep-blue ocean, producing a scenic landscape full of small coves for truly precious views and finish with a stop in San Jose City before heading back home. From Nature Escape to Pristine Beach. Fly to San Jose and drive up to Arenal to enjoy its Volcano and hot springs; continue to Monteverde Cloud Forest for unique fauna and adrenaline filled activities. Next, Visit Nosara/Samara Beaches, In Nosara quaint hotels hide among the stands of trees and beautiful gardens, vibrant flora, and a world-class white sand beach, while Samara is a picturesque resort town, with a traditional fishing and farming community Samara is known as one of the safest beaches in all of Costa Rica. End this trip driving up to Liberia Airport to catch your flight back home. Everything was fantastic! Thanks Tripmasters. Will book through them for a 3rd a time! The whole itinerary was wonderful. All the hotels, activities, and services were excellent. I did not want to leave.